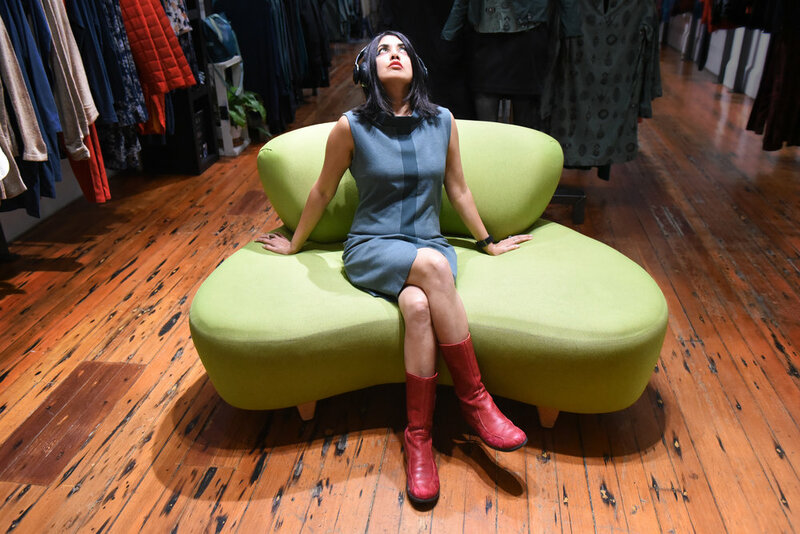 Made in Bombay, Born and raised in the UK, and currently based in San Francisco, Micropixie is the alien alter-ego and creative persona through which Neshma Friend’s voice finds its muse. She will release her third full-length album Dark Sight Of The Moon on April 26th. Made with award-winning producer Galician producer Paco Serén of Spain underground legends Los Piratas, and featuring contributions from Rob Myers and Ashish "Hash” Vyas of Thievery Corporation, Dark Sight of the Moon layers psych-pop instrumentation over Micropixie’s melodically deadpan vocals to create a hypnotic mix that she calls “Tripadelica.” Dark Sight of the Moon is intergalactic in scope, international in outlook, and highly personal in its invitation to the listener to step into Micropixie’s uncannily enticing world. The new record is the last chapter in a narratively-linked trilogy of albums alongside The Good, The Beige & The Ugly (2012), and Alice In Stevie Wonderland (2005). The triptych of albums tells the story of Micropixie’s journey to earth and her conflicted search for her true identity among humans, whose behavior she finds illogical. This sci-fi journey parallels Friend’s personal reflections on her own real-world background and international heritage. Micropixie summarizes this complex interweaving of fact, fiction, and cultural politics in her animated short film, “50 Shades of Beige”.